Born in a middle-class Muslim peasant’s family in Tirur, near Calicut, he went to Madras for his college education. He reached Karachi with a friend, landing there, yes, on August 14, 1949. There was already a sizeable Moplah community in Karachi then, some of whom had taken refuge there following the crackdown on the Moplah peasants’ rebellion of 1921. Though he hardly knew any Urdu or Punjabi and only spoke English and Malayalam, Kutty was accepted warmly by the Pakistanis. In subsequent years, he married and raised four children there. Kutty was sent off to jail under Ayub Khan’s martial law and under democrat Bhutto as well. If he has no regrets about his self-exile, it’s because as a political activist on the Left (his first task was to organise bidi workers in Lahore) he fathoms the country’s heartbeat, even its current palpitations and disruptions of rhythm from an atypical perspective. Activism saw him traverse the land, from Karachi to Khyber. Kutty was packed off to jail under Ayub Khan’s martial law and, ironically, under democrat Zulfiqar Bhutto as well. Through his political life, he forged close contacts with leaders like G.M. Syed, Mian Iftikharuddin, Maulana Bhasani and Raza Kasim, eventually becoming the political secretary of Bizenjo during his stint as governor of Balochistan in the early ’70s. Incidentally, even Benazir Bhutto wanted him as her press secretary. 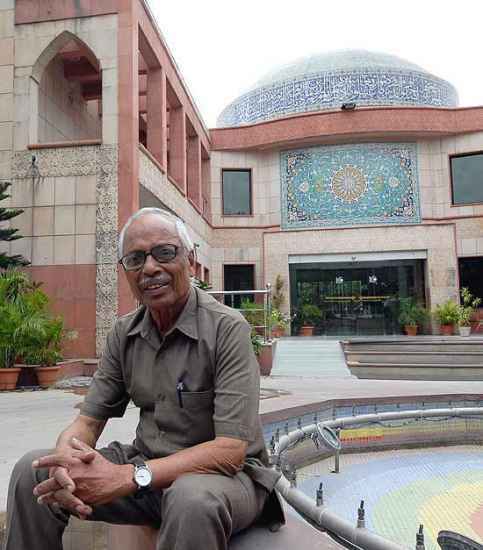 Kutty met leading literary figures like Faiz Ahmed Faiz and Sadat Hasan Manto. What did it for a Malayali youth to be in the company of people like Faiz? “Woh to khuda thhe hamare liye,” says Kutty about Faiz, whom he describes not only as a great poet and political commentator but also as a great soul. “He was such a great poet because he was such a great human being,” he says. His ringside view of politics makes him an interesting commentator on the developments in Pakistan. Like many others, Kutty is worried about the rise of religious fundamentalist groups and the unbridled power the generals enjoy. But also like any traditional leftist, he blames the country’s ills on the United States and other western powers. He admits that much of the problem in Pakistan stems from its refusal to erase its birthmark (stemming from the two-nation theory) and develop into a modern, democratic state. He, however, remains optimistic about Pakistan, pointing to the increasing number of people who have begun to question the rampant Islamisation of society, the power exercised by the military and its obsession with India. “Even people in the streets are now raising these questions,” he says.